What is SEO? Quick answer: Search Engine Optimization. Comprehensive answer: Writing code that will allow a website to be either number one or first page of any Internet search. Every website that we have developed is either number one in a Google search or on the first page of an Internet search. We advise you; what you need to apply to the SEO. 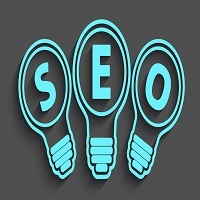 Without correct SEO your website will be amongst the thousands floating in a world of obscurely. Try typing into a search engine, for example, ‘franck saurel’ or ‘panda garden’. Both will be number one anywhere in the world. What is Digital marketing? … It is predicted that within a generation all products will be ‘on-line’. Therefore an idea, business or website presence (advertising your opening hours or latest function) will be digitally advertised. Congratulations, you are visitor 7264 to this page! !